Don't miss this opportunity at the Diamond Head Vista! Highly desirable Waikiki location and building developed by Stark. Stunning views of Diamond Head and across to the ocean. Spacious and beautifully upgraded with hardwood floors and new appliances! The '05 stack is the most desirable in the building with additional window in kitchen. 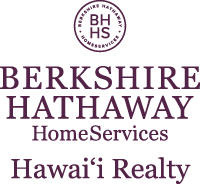 I am interested in 2600 Pualani Way UNIT 1005, Honolulu, HI 96815. Sign up for Inside AccessTM to view recent sales near 2600 Pualani Way UNIT 1005.